Once you are placed under arrest, you will be taken to the local police station and processed. This means that your fingerprints will be taken, your photograph will be taken, and the police will run a background search to verify your identity and to make sure that you have no other warrants for your arrest. If you are charged with a misdemeanor, you will be allowed to post Bond at the police station. If you post Bond at the police station, you will be released from the police station and will be given a Court date. If you are being charged with a Domestic Battery, you will probably not be released from the police station. For a Domestic Battery you will be taken to Court and appear before the Judge. The Judge will set a Bond amount and attach any other restrictions that the Court may deem to be appropriate for your case. A common condition of Bond in a Domestic Battery case is that you turn over your FOID card and any firearms you may own. Another common condition of Bond in a typical Domestic Battery case is that you not have any contact with the victim. If you are charged with a Domestic Battery, Illinois state law provides that you cannot have any contact with the victim for at least 72 hours after you are released from jail. This 72-hour no contact restriction applies to every Domestic Battery case in Illinois. If you are charged with a felony, you will be taken down to the police station and your fingerprints will be taken and a photograph of you will be taken. Once the police run your information through their computers and verify your identity and determine whether you have any other outstanding warrants, you will be taken to Court by the local police for a Bond Hearing. Every County has Bond Court on weekends and on holidays. If you are able to post Bond at Bond Court, you will be released directly from Bond Court by the police and given a court date. If you are unable to post Bond at Bond Court, the police will turn you over to the custody of the County Sheriff and you will be taken to the County Jail and held in jail until you appear in Court and your case is finished. The County Sheriff will take you to Court from jail and back to jail from Court. James Dimeas is a nationally-recognized, award-winning, criminal defense lawyer, with over-26 years of experience handling criminal cases in Chicago, Cook County, DuPage County, Kane County, and Lake County. Attorney and Practice Magazine gave James Dimeas the “Top 10 Criminal Defense Attorney Award for Illinois.” The National Academy of Criminal Defense Attorneys gave James Dimeas the “Top 10 Attorney Award for the State of Illinois.” James Dimeas was named a “Best DUI Attorney.” Expertise named James Dimeas a “Best Criminal Defense Lawyer in Chicago.” The National Trial Lawyers named James Dimeas a “Top 100 Criminal Defense Trial Lawyer.” The American Society of Legal Advocates named James Dimeas a “Top 100 Criminal Defense Lawyer in the State of Illinois For the year 2018 and 2019.” The American Institute of Criminal Law Attorneys named James Dimeas a “10 Best Attorney for Client Satisfaction. James Dimeas is rated “Superb” by AVVO, the highest rating possible for any criminal defense attorney in the United States. If you are being charged with a crime you can always contact James Dimeas for a free and confidential consultation. You can always talk to James Dimeas personally by calling him at 847-807-7405. Can A Minor Be Questioned by the Police Without a Lawyer or Parent Present, by James G. Dimeas, Chicago Criminal Lawyer Blog, May 22, 2018. 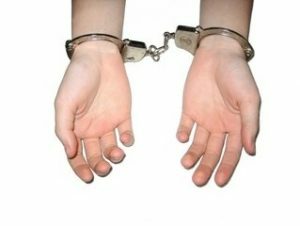 Do the Police Have To Read You Your Rights If You Are Arrested, by James G. Dimeas, Chicago Criminal Lawyer Blog, September 5, 2017.